LED tailgate light bars are pretty slick. Not only do they look great, but they also add an extra level of safety to your truck. Equipped with attention-getting, practical functions, like brake lights, turn signals, running lights, and reverse lights, these light bars outshine the competition. And the best part is, they’re incredibly easy to install. So instead of spending your free time struggling to get your lights to work, you can spend more time enjoying the benefits of your new light bar. 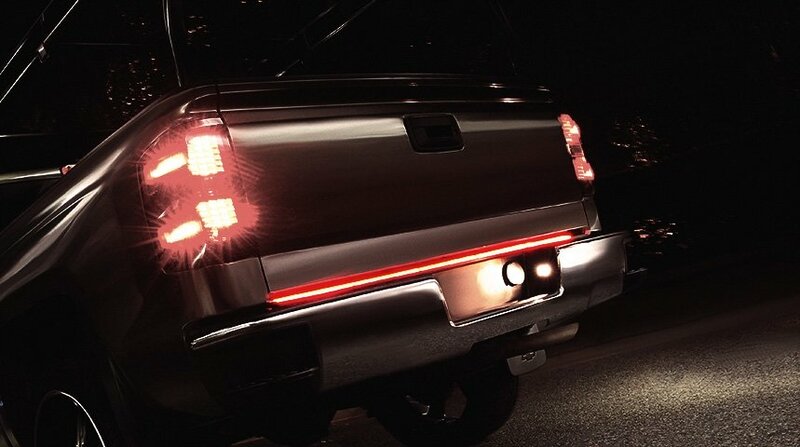 Stop in and take a look at our impressive selection of LED tailgate light bars.